Let's be totally honest with each other. The 1980's style rocker switch that's powering your sweet LED setup isn't impressing anyone. And you know it's not getting any sleeker. The Dremel hole that wasn't cut 100% accurate isn't quite "classing" things up either. It's okay... With Oznium's new remote control relay switch, you can upgrade your setup from ashy to classy. Eliminate the hours of wiring we both know you can live without. 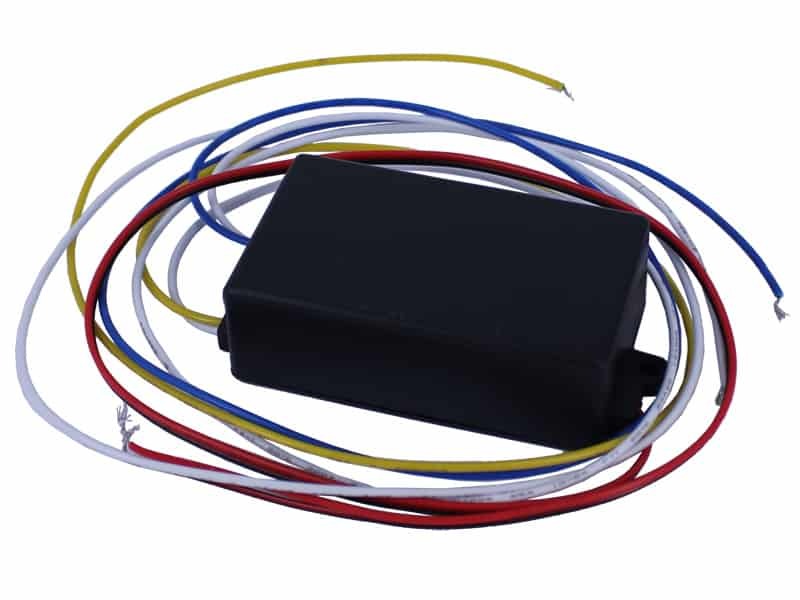 No more needing to blindly feed wires through your firewall. 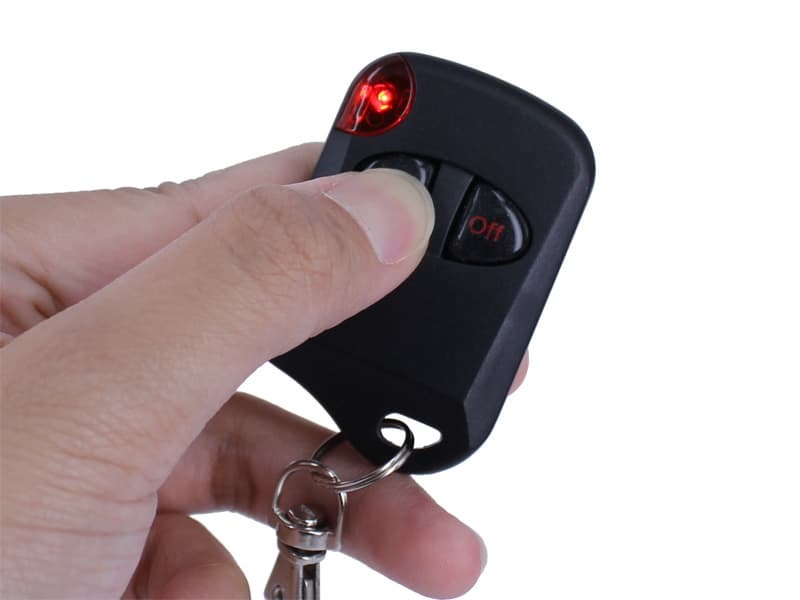 Control your entire LED setup with a spiffy little keychain designed to resemble that of an auto keyless entry system. With its long, extended range, you'll be able to control a complete show-stopping setup from the other end of the parking lot. 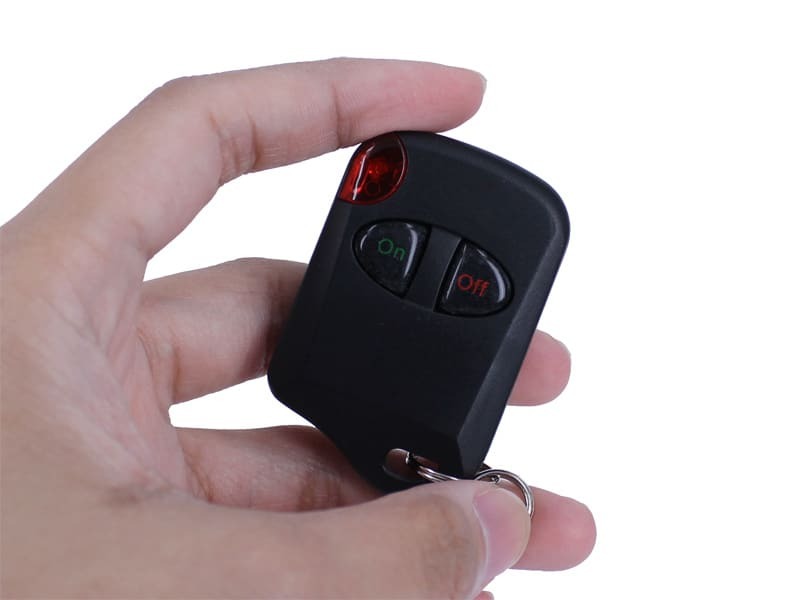 No more needing to hop in the drivers seat to show off your ride. 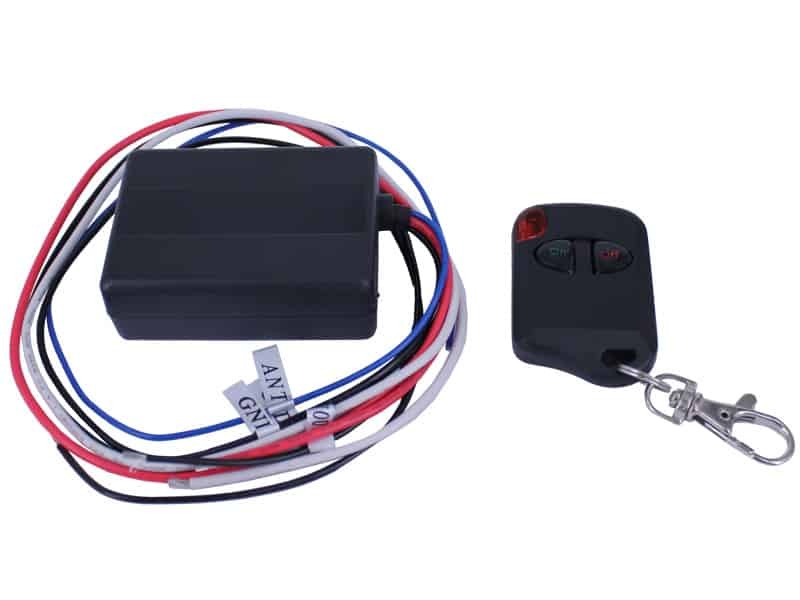 Control any 12 volt device with this remote control relay switch. 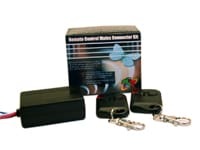 Solid State option (1 Channel): shock resistant, smaller receiver, and no click sound. What's the difference between Solid State and the others? 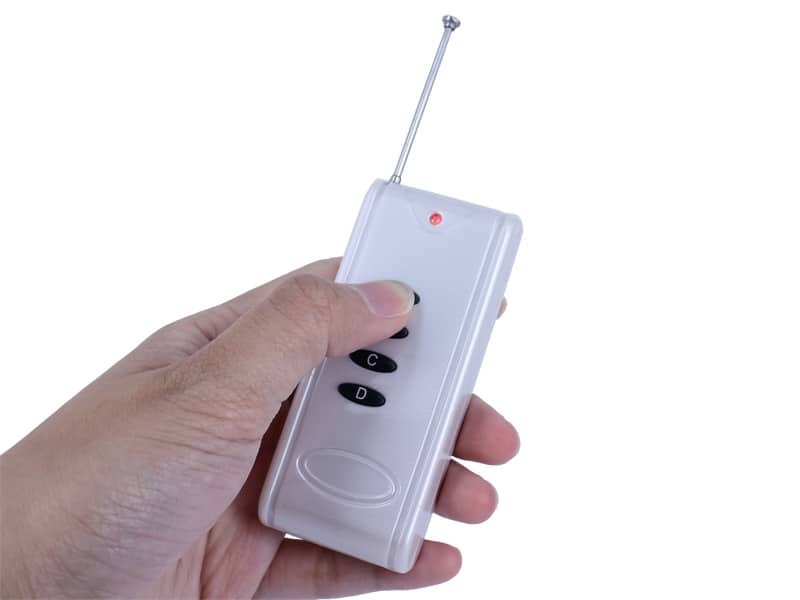 The "1 Channel - Solid State" option is shock resistant, comes with a smaller receiver box, and is silent when turned on/off. This is because there's no moving parts. 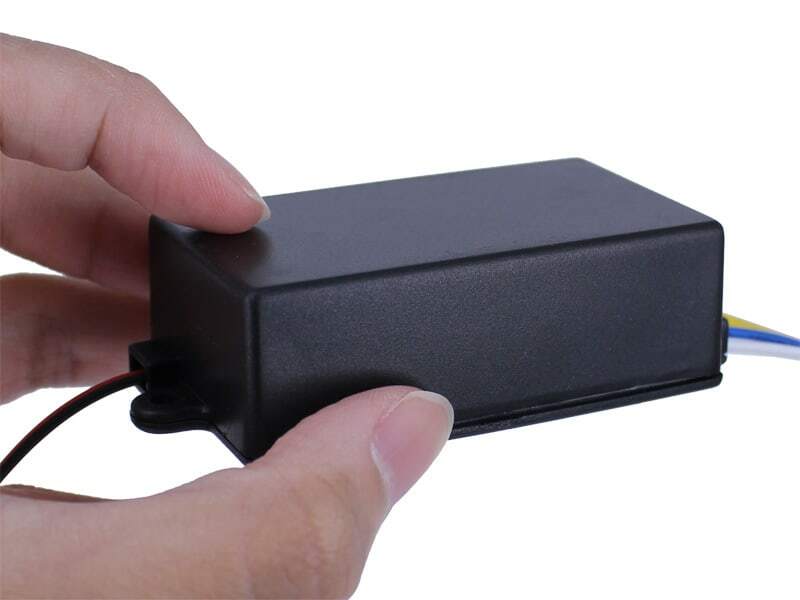 Instead of using a mechanical / magnetic relay, it uses a solid state relay. 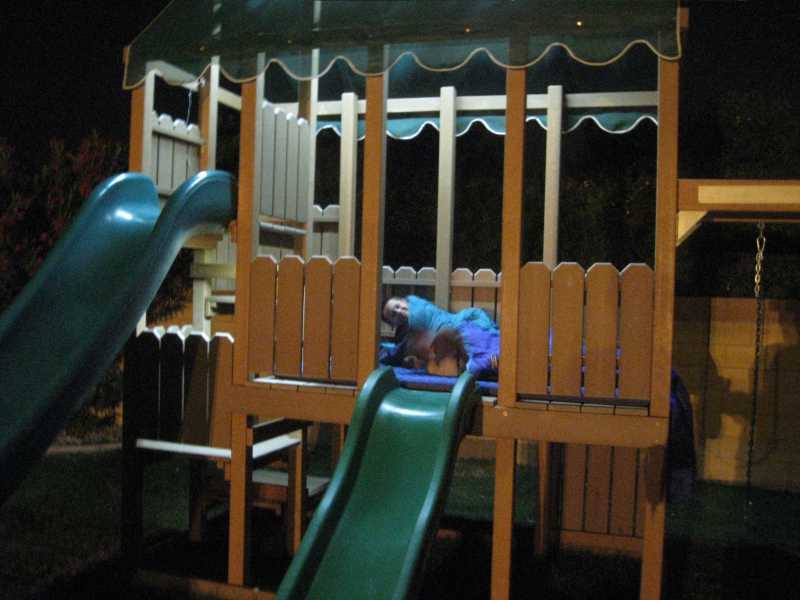 Installed remote switch in my son's Play System from PlaySystemsDirect.com - he LOVEs that he now has a remote for his fort! Remote has 4 buttons, 2 for on & 2 for off. A and B for one channel-C & D for second channel. 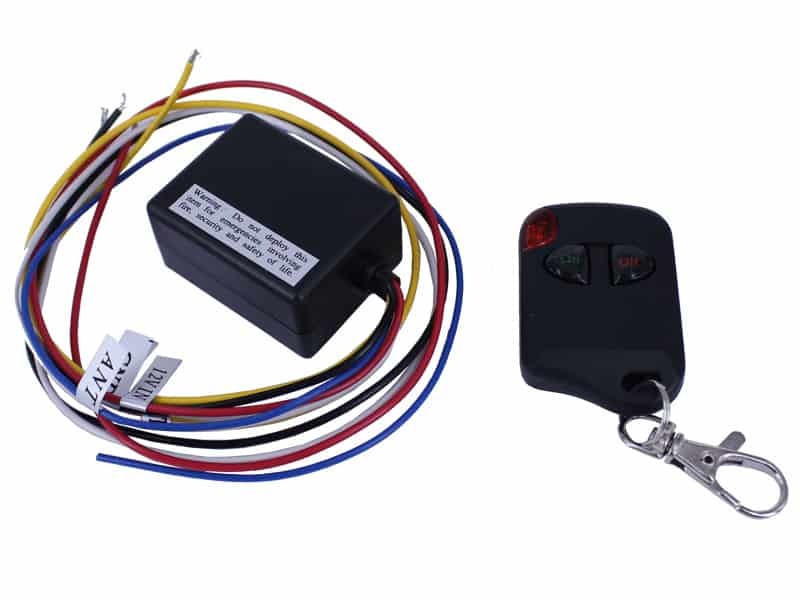 I was looking for a remote switch that would turn off and on lights in my boat while still being able to use the dash switch. This switch uses the negative side to turn off and on what your using it for. Won't work between a pre-installed switch that is already grounded. 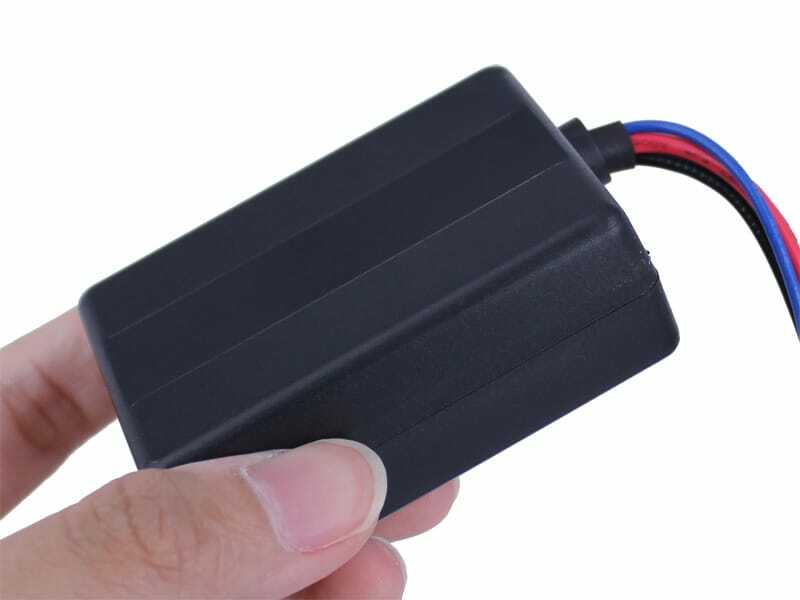 I installed this on My VTX1300R to control the flexable red, white and yellow led's I put under and around the motor, saddle bags, and front tire. Works great. Only issue is it does not come with any mounting tabs or tape. 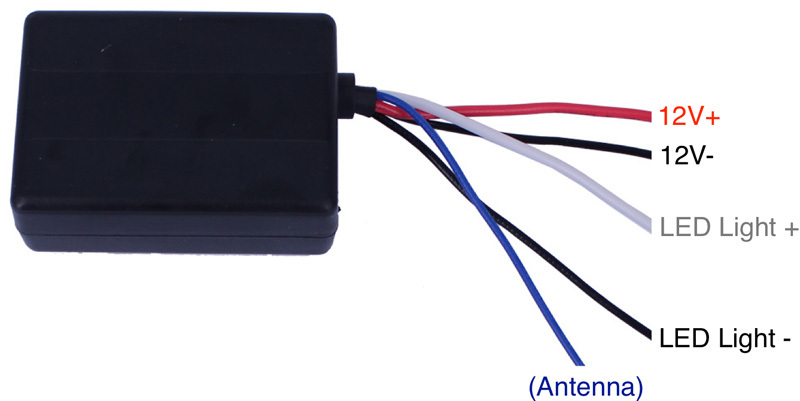 I installed the solid state controller to control some led running lights on my 2014 Tacoma 4WD, It took me about an hour but I am particular about making any new wiring look factory installed. The controller is installed under my dash and does not make any sound when activated. 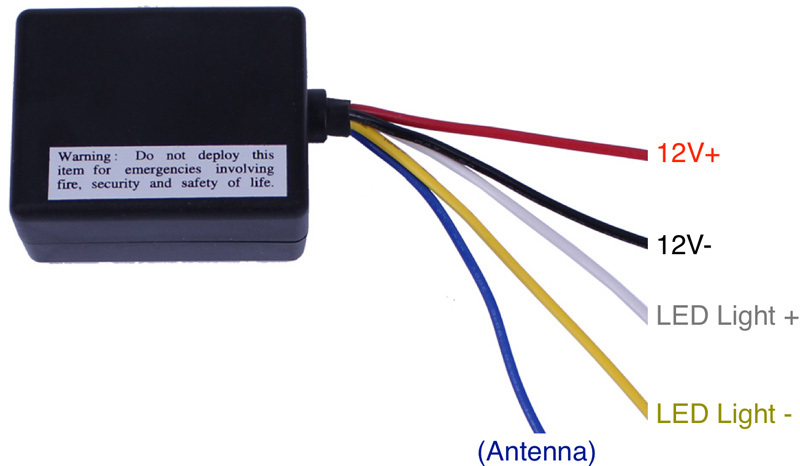 Simple to install and great range- I am getting about 150' with no problem. Excellent product, great service- Highly recommended. I put some led accent lighting on my Harley, and didn't want to have to worry about finding a place to put a switch where the wires could be hidden. 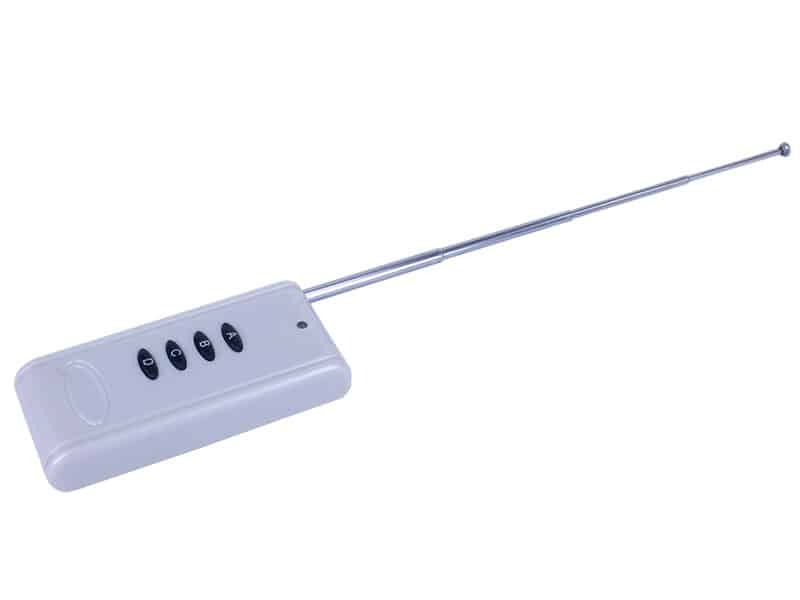 So I decided to go with the wireless solid state remote switch. I am so glad I spent the extra few bucks for the remote switch. I love it! 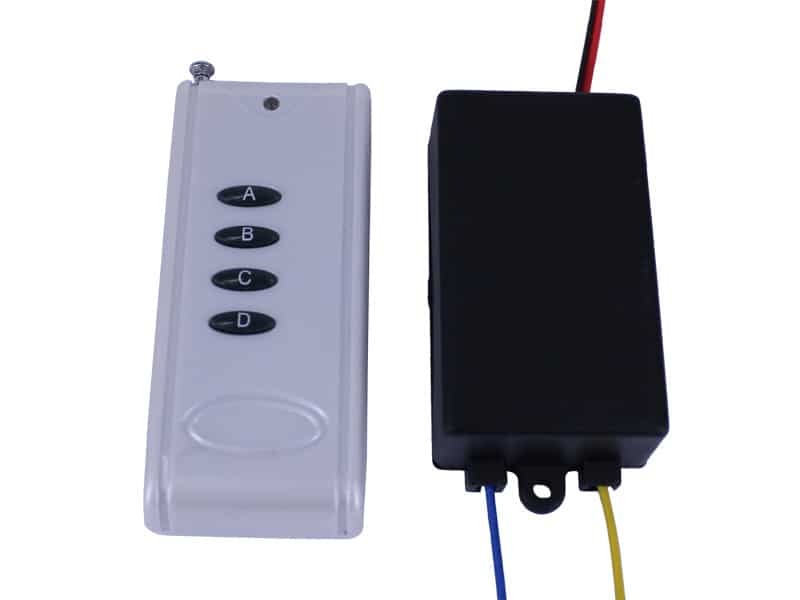 It is a very compact switch,and is easy to wire. Works like a charm. 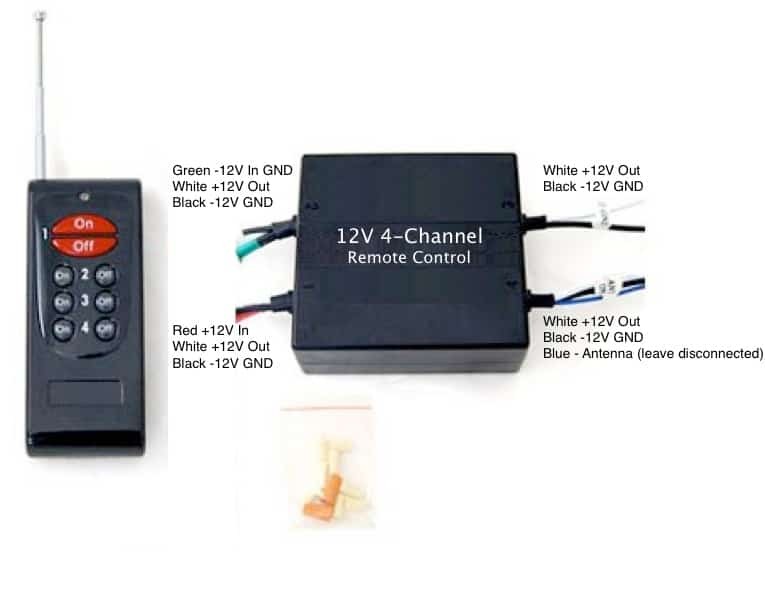 I bought the remote control unit to power on/off the bedroom light in my RV as my wife can no longer reach up to do that due to problems with both shoulders. I received the unit today, spent less than a half hour to install and test it. Suffice it to say the unit was simple to install and does exactly what I needed it to do. This remote control unit is a blessing as wiring in a switch was not a possibility. Thank you Oznium for this reasonably priced solution to our problem. I used the controller and three LED bars in my car port. The wife loves it, just come up in the car and turns them on. I used the remote to turn a pump on. Impressive distance. This remote is awesome. Took it out of the mailbox and installed it. So easy! A guy at a parts store tried selling me a remote for cars that was $50. Would have been harder to install. This was way easier to install and works great. Without even pulling up the antenna!